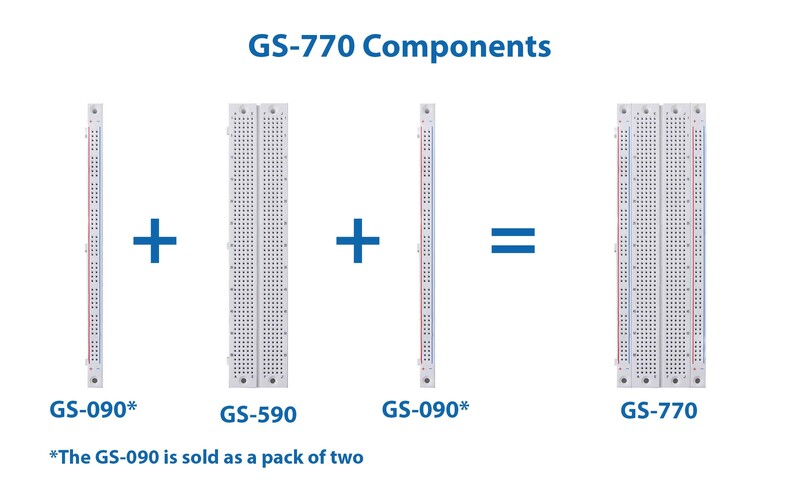 The Global Specialties economically-priced bus strips connect easily by way of molded key tabs to other economy line breadboarding sockets, or bus strips. Most bus strips come with red and blue lines indicating continuity and allow for convenient and easy viewing of circuit connections. Use bus strips for signal and power connections in breadboarding experiments and circuit design. Sockets are made of ABS plastic and phosphor bronze contacts.